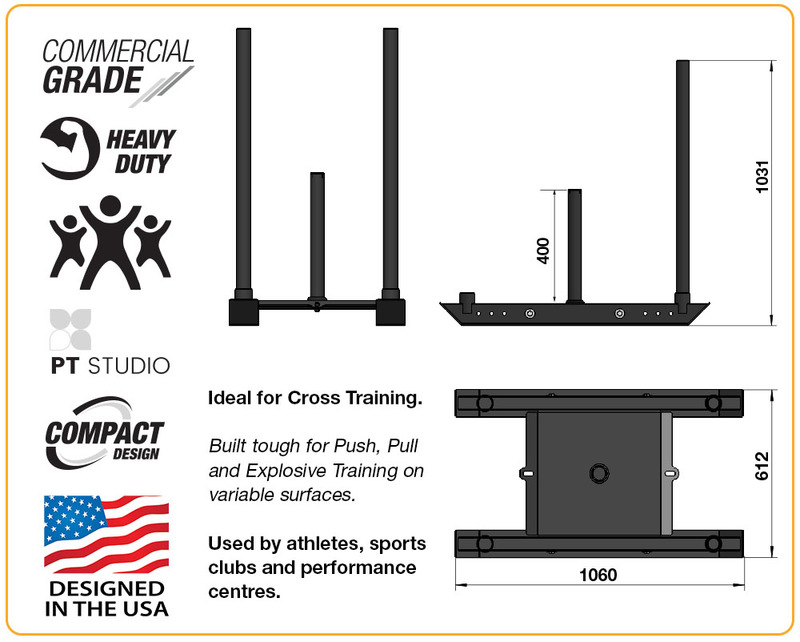 The Force USA Dogsled is the ultimate high intensity training tool. Push and pull your way to explosive strength and enhanced athleticism. 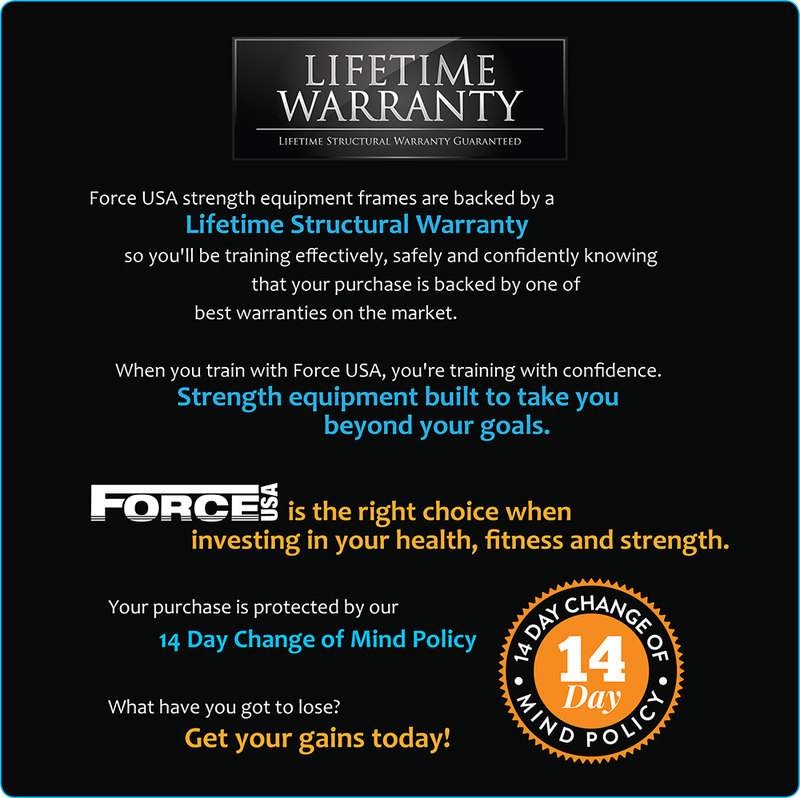 Used by professional athletes and high performance trainers. Push or pull the Dogsled with with included posts or add a harness to the carabiner positions and drag the sled to create powerful legs. The 400mm weight holder can carry an immense amount of weight. Load up with your steel, rubber coated or bumper weight plates and use on variable terrain. Heavy duty skis on the Dogsled are ideal for high volume commercial gym usage. 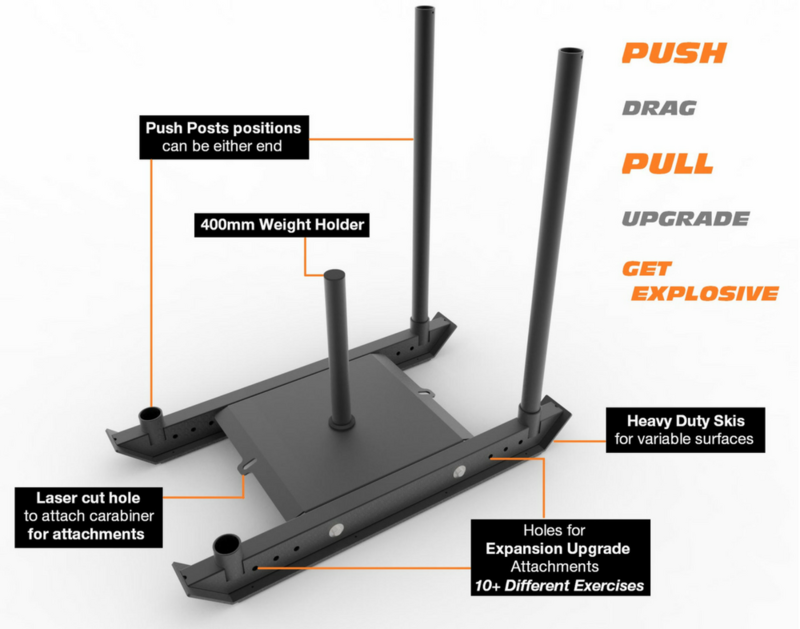 An ideal addition to any functional training, circuit training and WOD session. Expansion ports have been added to the Force USA Dogsled for optional attachments and future upgrades. Extremely heavy gauge structured rolled steel. 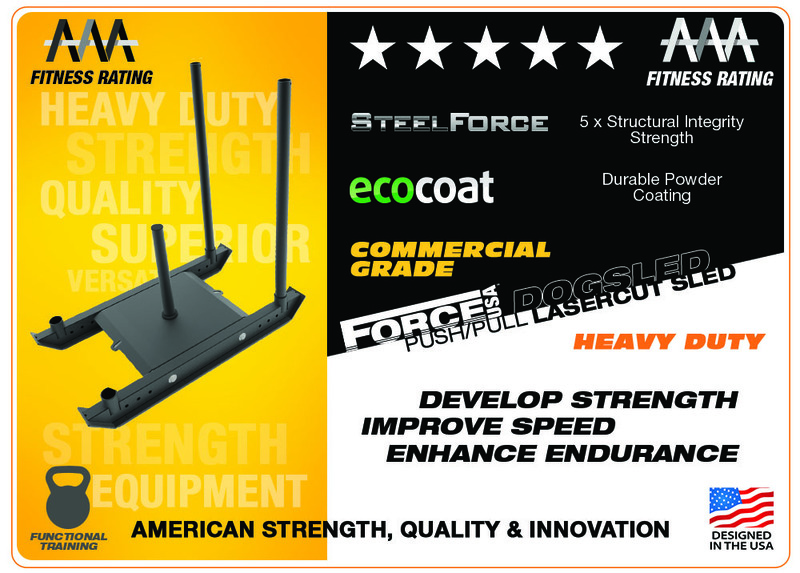 Only the best grade steel is used in the Force USA Dogsled for strength and lastability.